".. is an unusual introduction to the continent as I am living more in the Chinese world than the Senegalese one. But what a world this is! Chinese people have a reputation for being difficult for outsiders to approach, but in my experience, once you gain their trust they will go to the ends of the Earth for you. 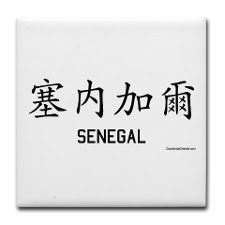 "I am finding this to be true of the Chinese I am meeting here in Senegal as well. I have already been welcomed into a Chinese family running a restaurant in Dakar, gone on a road trip with Chinese agronomists all the way to the northern border with Mauritania, dined on a fishing boat and sang karaoke late into the night with Chinese and Taiwanese fisherman, and worked alongside Chinese and Senegalese workers on a farm outside of Dakar. "I won't go into too much detail of my findings just yet, except to share a snippet of a conversation I had last night with the head of the Chinese agricultural mission for Senegal. He had been gone all day on a trip to a neighbouring farm that hadn't gone very well. Over dinner I suggested that it must have been very "辛苦" (difficult, exhausting). This is a very common thing to say to someone when you want to express sympathy for a difficult or laborious process. It literally means "tired bitterness". He quickly responded that his work should not be called "tired bitterness". It could be called bitterness, but "bitterness comes in many forms, and what I do does not make me tired. People need to work hard to enjoy rest. You can't really enjoy life without also having bitterness". He picked up a piece of 苦瓜 (bitter gourd) from a dish on the table that he had grown with his own labor, and said, "You can't really know sweetness until you eat bitterness." "This statement gets at the heart what I observe as a fundamentally different approach to agriculture work between the Chinese and the Senegalese. The Chinese are critical of what the Senegalese emphasis on religion (primarily Sufi Mauride Islam) and what they perceive of as a lackadaisical work ethic of farm workers, while local people seem to both admire the Chinese approach to work, as well as reject it as cold and inhuman. I feel so honoured to be let into both of these worlds for this brief glimpse of time." DB: I imagine Lila's fluency in Chinese (not to mention her engaging personality) made all the difference in the reception she received in Senegal. We need more researchers with language skills like Lila's doing research on this topic. That the above can be written indicates a fundamental problem in African countries. Now the Chinese influence is analyzed, just as in the past the U.S. or the UK and French influences were studied. But unfortunately, this is not helping to understand or resolve the problems of the African countries…. Thanks for posting this Deborah. A small clarification on the above: I am a graduate student at Oxford University's Environmental Change Institute. This research is for my master's dissertation and is funded by LDPI and LEAD International. Re Dan's comment, I agree that I can't find a resolution to Africa's problems with this research on Chinese agriculture, nor do these observations aim to do so. I'll leave that to people who understand Africa better than I do. My aim is to provide a better understanding of China's activities because China is an increasingly influential player on the continent, and one for which reliable information is still difficult to find. Hey Lila - a friend in Bejing just forwarded this to me asking if I knew you. I live in Senegal and similarly enjoy the geniusness of Dakar's Chinese karaoke spots - Petite Li and that spot in Medina. I speak Wolof fluently but no Chinese, so am unfortunately constrained on the KTV mic, resigned to goofing off with the Senegalese waitresses who also don't speak real chinese...admittedly not an altogether bad alternative. A great article. People are driven to make 'easy' characterizations regarding China's involvement in Africa and this guest entry highlights the nuances so often overlooked but that are so critical to true understanding. Thanks for the post! I'm so happy about your experience and it seem like mine. 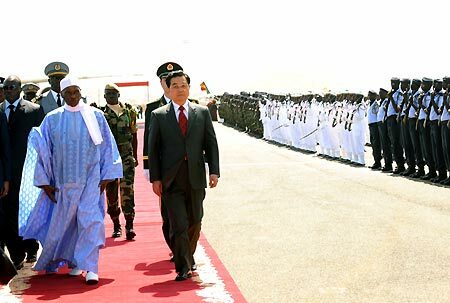 I lived one year in Senegal in 2005 and there I was surprised about the growing Chinese presence there. Since 2005 I'm researching about it and now I'm back from China where I lived two months. In February I will be in senegal to research in your same field and I would like to share our expericences. I hope to hear you soon!! Ndank ndank moy giapp n golo çi gnaye. That is Man Man la (Slow Slow) in Chinese. I am a researcher at a foreign policy think tank based in Mumbai. I really enjoy reading your posts. I currently look at India's engagement in Africa and would truly like to discuss more on this issue. What a wonderful message! It takes a bitter phase to appreciate the sweet life. Getting to know Chinese people in Africa is much easier as WHITE person, not so if you are non-White. LILA surely knows this!